Abid Qureshi, Nominated By Obama, Would Be First Muslim Federal Judge : The Two-Way Abid Qureshi is a partner at the Washington, D.C., firm Latham & Watkins. Colleague and former White House Counsel Kathryn Ruemmler says he is a "brilliant" lawyer with "legendary" collegiality. 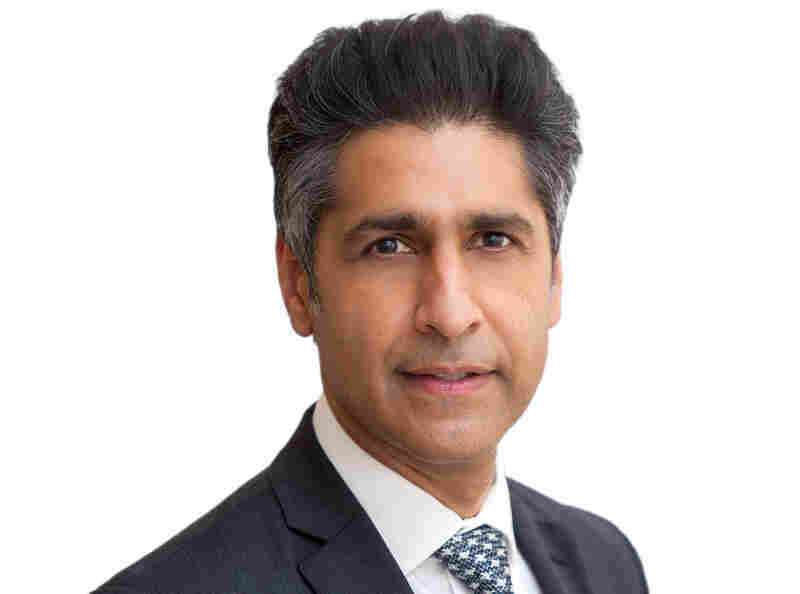 Abid Qureshi, a partner at the law firm Latham & Watkins, has been nominated to fill a spot on the federal court in Washington, D.C.
Over the past seven years, Obama has appointed 138 women and 120 minorities to federal judgeships. He has made this judicial diversity a "major priority" throughout his time in office, says former White House Counsel Kathryn Ruemmler, who now works with Qureshi at the D.C. law firm Latham & Watkins. "Having judges who are reflective of the nation as a whole just brings public confidence into our court system," Ruemmler says, explaining the president's thinking about these selections, which require Senate confirmation and are held for life. "This is a very, very exciting time, and we are just so thrilled that the president took this step," Khera says of Qureshi's nomination. "He's a brilliant lawyer," says fellow partner Ruemmler, "but his temperament and his demeanor and his collegiality and just general kindness toward colleagues is legendary." The National Law Journal says Qureshi's clients include a student loan servicing company, a pharmacy giant and the Hospital Corporation of America. He also represented a private school with ties to the Saudi Arabian government in a case before the National Labor Relations Board. The dispute centered on whether the board had jurisdiction over the school's decision to fire a teacher. Qureshi cast the case as a matter of religious freedom — and he won.